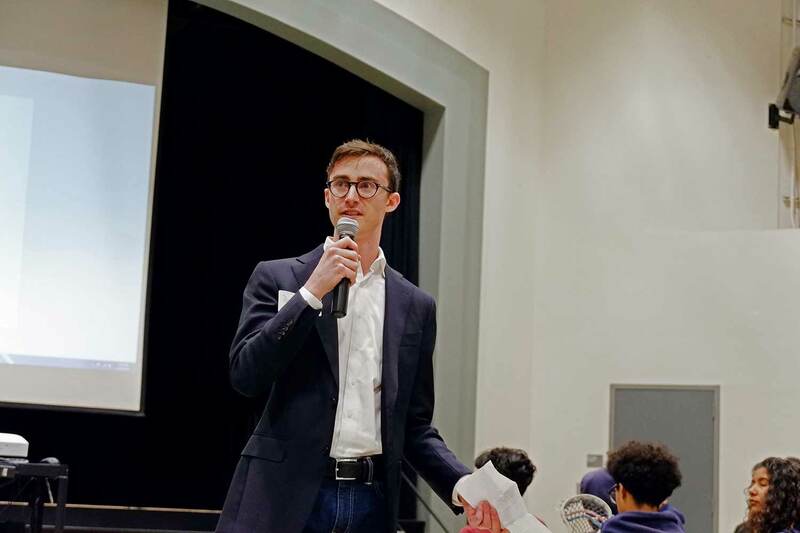 These were words from Michael Zamost, a representative from Rep. Scott Peters’ office, to a group of nearly 200 students at The Preuss School—a charter middle and high school on the UC San Diego campus for low-income students who strive to become the first in their families to graduate from college. While high school students across the nation held walkouts on April 20 in honor of the 19th anniversary of the Columbine High School shooting, student changemakers at The Preuss School channeled their efforts into a day dedicated to “A Call for Change.” Organizers created a slate of activities to encourage their fellow students to get involved in driving change for a better future. Students invited community leaders, elected officials and candidates for the District 4 County Supervisor seat to attend. Nina Do, one of the event organizers and the school’s ASB president welcomed students and guests to the auditorium. 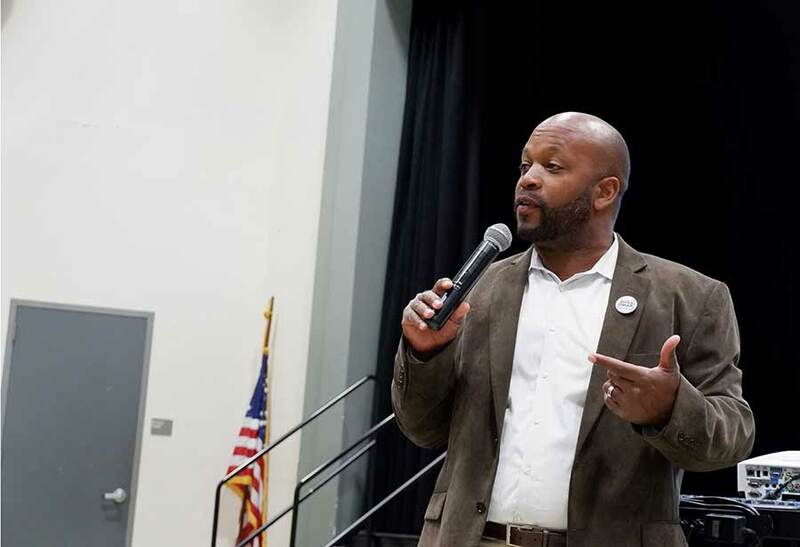 As part of the program, District 4 County Supervisor candidate Omar Passons discussed with students the importance of making themselves heard. Passons recounted his challenges growing up in foster care. He encouraged the students to dream big, as he shared his journey to overcome adversity, become an attorney and now run for public office. Following the community leader presentations, Preuss School teachers guided students on how to contact their legislators. 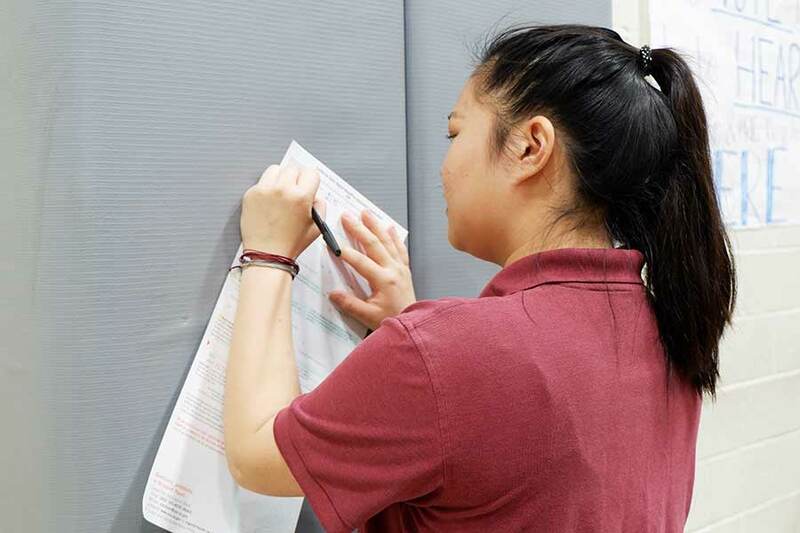 College student volunteers from Next Gen America—a non-partisan organization working to help Americans raise their voices—were also on hand to help students over the age of 18 register to vote. Students who are 16 and over were encouraged to pre-register.